made the fame ofCortebert world wide ... in cases brilliantly designed for men of today. Each in a beau. tiful walnut.grained wood presentation case. Available on Sears convenient Easy Terms-see page 174C. hands. Small second dial. Thick, flat crystal. Genuine leather strap. 17-jewel movement. with domed crystal, a new note in a man's watch. genuine leather strap. 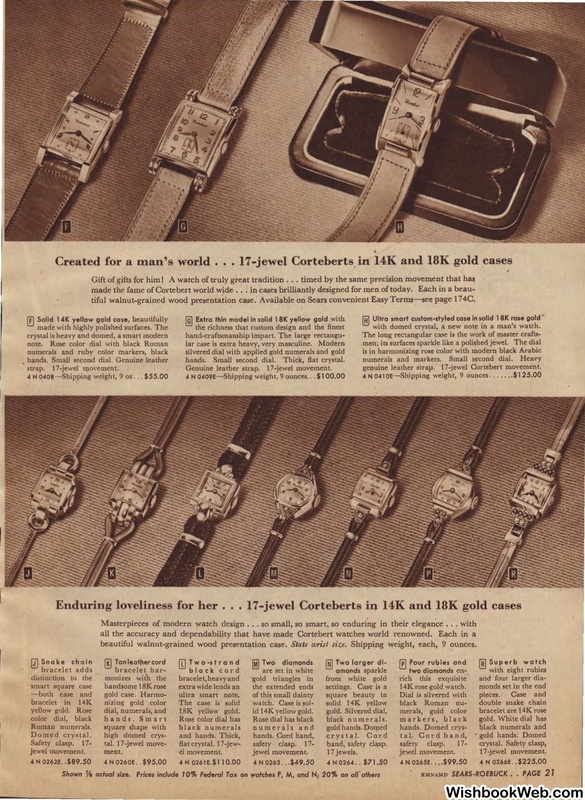 17-jewel Cortebert movement. beautiful walnut·grained wood presentation case.